United Nations Compact Must End Child Detention Will Trump’s Trade War Make America Great Again? UNITED NATIONS, Jul 11 2018 (IPS) - It has been five decades since the international community affirmed the right to family planning but women still remain unable to enjoy this right, which is increasingly under attack around the world. For World Population Day, held annually on Jul. 11, the United Nations Population Fund (UNFPA) has focused its attention on “Family Planning is a Human Right,” and aptly so. This year marks the 50th anniversary of the 1968 International Conference on Human Rights where family planning was, for the first time, understood to be a human right.“Chipping away at women’s access to information is a direct attack on their access to healthcare, and the right to make informed autonomous decisions about their lives and their bodies,” said Human Rights Watch’s Senior Researcher Amanda Klasing. “Parents have a basic human right to determine freely and responsibly the number and spacing of their children,” the Tehran Proclamation from the conference states. “Family planning is not only a matter of human rights; it is also central to women’s empowerment, reducing poverty, and achieving sustainable development,” said UNFPA’s Executive Director Natalia Kanem. However, in developing countries, more than 200 million women still lack safe and effective family planning methods largely due to the lack of information or services. The World Health Organization (WHO) recently found that clinical guidelines are followed in less than 50 percent of cases in poorer nations, resulting in “deficient” family planning. In such circumstances and without access to contraception, women and girls often turn to dangerous methods such as ingesting or inserting vinegar, which can cause bodily damage. UNFPA found that in one country, the stiff plastic wrapper of an ice popsicle is used as a replacement for condoms which could result in genital lacerations. While such practices have generally decreased, countries like Yemen where conflict has restricted access to family planning are seeing more women using unsafe, traditional methods of contraception. 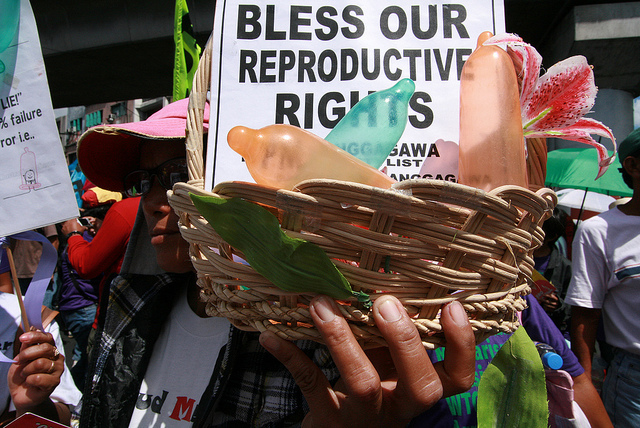 In other places such as the United States, family planning is deliberately under attack. Just a year after implementing the global gag rule, which cuts off international family planning funds to any foreign nongovernmental organization who advocate or even give information about abortion, the Trump administration is now turning inwards and targeting its own. However, new proposed regulations echo a sense of a “domestic gag rule” by restricting people’s access to family planning care. One such proposal forbids doctors from counselling patients with unplanned pregnancies about their reproductive options and instead advocates coercing pregnant patients towards having children regardless of their own wishes. The scenario can already be seen playing out across the country. Recently in California, the Supreme Court reversed a law that required crisis pregnancy centres, which often trick women into believing they provide family planning services, to provide full disclosure. “It’s clear the U.S. government is taking more and more swipes at a fundamental aspect of the right to health—the right to information,” said Human Rights Watch’s Senior Researcher Amanda Klasing. “Chipping away at women’s access to information is a direct attack on their access to healthcare, and the right to make informed autonomous decisions about their lives and their bodies,” she continued. Withholding such essential resources and information from women also heightens the risk of ill-health or even death for newborns. According to the Guttmacher Institute, women with unintended pregnancies, which is often higher among the poor, often receive worse prenatal care and poor birth outcomes. When women are able to decide when to have children and space out their pregnancies, their children are less likely to be born prematurely or have low birth weights. Already, a study found that U.S. babies are three times more likely to die compared to 19 countries in the Organization for Economic Co-operation and Development largely due to high poverty rates and a weak social safety net. Without publicly funded family planning services or information, we can only expect to see higher rates of unintended pregnancies, unsafe abortions, and infant mortality in the U.S.
And now with President Donald Trump’s Supreme Court nominee Brett Kavanaugh, who has a history of undermining women’s reproductive freedom, we may even see worse including the dismantling of the historic Roe v. Wade case which legalised abortions. If we are to achieve the Sustainable Development Goals, including ensuring universal access to sexual and reproductive health care and meeting all family planning needs, the international community should not forget its affirmation at the 1968 International Conference on Human Rights. “Investments in family planning today are investments in the health and well-being of women for generations to come,” Kanem concluded.